Your substance is assaulted, broke and torn. Extinguishing all other lights nearby. Your progress against those who came before. Is everything we knew about you wrong? 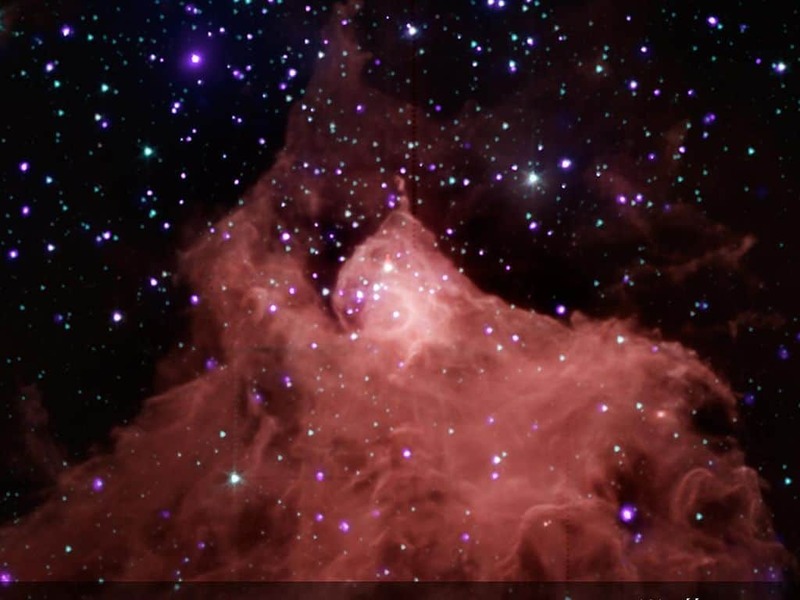 Composite image showing young stars in and around molecular cloud Cepheus B (Image Credit: By X-ray: NASA/CXC/PSU/K. Getman et al. ; IRL NASA/JPL-Caltech/CfA/J. Wang et al.). This is an Ottava Rima, inspired by recent research that has discovered that the birth of stars from dense clouds of gas and dust may not be happening in the manner that has long been assumed. Across the Universe giant molecular clouds of dust and gas eventually begin to collapse and cluster together under gravity to create star-forming cores. Within these exceptionally dense cores materials collapse further under gravity and then heat up, reaching temperatures at which nuclear fusion can occur, thereby leading to the formation of new stars. It has long been assumed that a star’s mass is mostly dependent on the characteristics of the star-forming core from which it was formed, and observations in our galaxy (the Milky Way) have confirmed this. These observations have also shown that star formation displays a common distribution pattern throughout our galaxy, one which typically has relatively few stars that are more massive than our Sun. However, by studying the distant star-forming region W43-MM1 from outside of our galaxy (approximately 18,000 light years away from Earth), researchers have observed a completely different distribution pattern of star-forming cores. In particular they observed a wealth of ginormous stars, many of which were up to 100 times more massive than our sun. These findings call into question the assumed relationship between the masses of star-forming cores and the masses of the stars themselves, meaning that many star formation theories will need to be revisited.